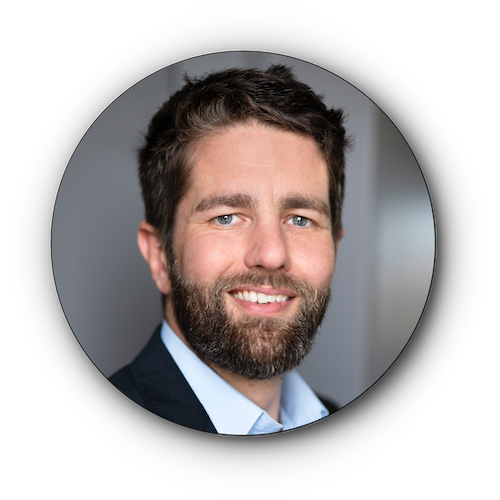 Dr. Alexander Willner is the head of the Industrial Internet of Things (IIoT) Center at the Fraunhofer Institute for Open Communication Systems (FOKUS) and the head of the IIoT research group at the chair of Next Generation Networks (AV) at the Technical University Berlin (TUB). In joint collaboration with the Berlin Center of Digital Transformation (LZDV) he is working with his groups in applying standard-based Internet of Things (IoT) technologies to industrial domains. With a focus on moving towards the realization of interoperable communication within the Industry 4.0, the most important research areas include industrial real-time networks (TSN), middleware systems (OPC UA), distributed AI (Digital Twins) and distributed Cloud Computing (Edge Computing) including management and orchestration. Prior research positions include the University Bonn, he holds an M.Sc. and a Ph.D. (Dr.-Ing.) in computer science from the University Göttingen and the Technical University Berlin respectively. His research interests are on distributed information systems, linked data, communication middleware and service-oriented architectures. He is active in relevant standardization activities and alliances and gives a corresponding lecture at the Technical University Berlin; and in the past at the Humboldt University of Berlin as well. At various occasions Dr. Willner also acts as ambassador for the science capital Berlin. See my personal web page. de Brito, Mathias and Hoque, Saiful and Steinke, Ronald and Willner, Alexander (2017). Application of the Fog Computing Paradigm to Smart Factories. Journal of Transactions on Emerging Telecommunications Technologies (ETT). Wiley. Mukudu, Nyasha and Steinke, Ronald and Carella, Giuseppe and Mwangama, Joyce and Corici, Andreea and Ventura, Neco and Willner, Alexander and Magedanz, Thomas and Barroso, Maria and Gavras, Anastasius (2017). TRESCIMO: Towards Software-Based Federated Internet of Things Testbeds. Building the Future Internet through FIRE. River Publishers, 693––714. Willner, Alexander (2017). OpenIoTFog: Eine anbieterunabhängige Verwaltungsschale für Industrie-4.0-Komponenten. „Tagung Berliner und Brandenburger Industrie 4.0“ Safety und Security – Mit Sicherheit gut vernetzt. Beuth-Verlag. de Brito, Mathias and Hoque, Saiful and Steinke, Ronald and Willner, Alexander (2016). Towards Programmable Fog Nodes in Smart Factories. 1st International Workshops on Foundations and Applications of Self* Systems (FAS*W). IEEE, 236–241. Tran, Quang Thanh and Medhat, Ahmed M and Elmangoush, Asma and Carella, Giuseppe and Willner, Alexander and Covaci, Stefan and Magedanz, Thomas (2016). Enabling Future Internet Testbeds with Open Source Software. European Conference on Networks and Communications 2016, 407–409. Boniface, Michael and Calisti, Monique and Serrano, Martin and Willner, Alexander and Petrioli, Chiara and Facca, Federico M. and Moerman, Ingrid and Friedman, Timur and Figuerola, Sergi and Ziegler, Sebastien and Martrat, Josep and Walters, Tim (2016). Next Generation Internet (NGI) Experimentation - Drivers Transforming Next Generation Internet Research and Experimentation. Loughnane, Robyn and Nehls, Daniel and Willner, Alexander and Carella, Giuseppe (2016). Resubmit: Semantic-Based Management of 5G Infrastructures as a Service. Proceeding of the 1st Workshop on Semantic Web for Federated Software Defined Infrastructures, 1–6. Morsey, Mohamed and Grosso, Paola and Willner, Alexander (2016). SWSDI: 1st Workshop on Semantic Web for Federated Software Defined Infrastructures. Morsey, Mohamed and Willner, Alexander and Loughnane, Robyn and Giatili, Mary and Papagianni, Chrysa and Baldin, Ilya and Grosso, Paola and Al-Hazmi, Yahya (2016). DBcloud: Semantic Dataset for the cloud. 2016 IEEE Conference on Computer Communications Workshops (INFOCOM WKSHPS). IEEE, 207–212. Morsey, Mohamed and Al-Hazmi, Yahya and Giatili, Mary and Papagianni, Chrysa and Grosso, Paola and Baldine, Ilya and Willner, Alexander (2016). Resubmit: Open-Multinet: Supporting Resource Management in Federated Infrastructures with Semantic Web Ontologies. 13th European Semantic Web Conference (ESWC). Springer, 1––15. Willner, Alexander (2016). Semantic-based Management of Federated Infrastructures for Future Internet Experimentation. Technische Universität Berlin , 1–250. Willner, Alexander and Nikolaus, Mitja and Alloush, Alaa and Carella, Giuseppe and Magedanz, Thomas (2015). Resubmit: Towards the semantic-based Management of Virtualized Network Functions. Conference on Network Function Virtualization and Software Defined Networks (NFV-SDN). IEEE, 1––7. Willner, Alexander and Nehls, Daniel and Magedanz, Thomas (2015). FITeagle: A Semantic Testbed Management Framework. Proceedings of the 10th EAI International Conference on Testbeds and Research Infrastructures for the Development of Networks & Communities. ACM, 1–6.